Standing Rock Sioux tribe and thousands of Indigenous and non-indigenous people from across the country have gathered together to oppose the 1,200 mile Dakota Access Pipeline. 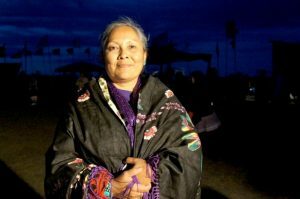 Among the thousands of Water Protectors are Indigenous women from tribal coalitions and tribal domestic and sexual violence programs. Beaming with pride, Dixie Chapman, Executive Director of Bingham Crisis Center, describes her dedicated staff and what they manage to accomplish. Bingham Crisis Center is located in Blackfoot, Idaho, a town in of approximately 12,000 residents, and adjacent to Fort Hall Indian Reservation of the Shoshone Bannock Tribe with nearly 6,000 residents. 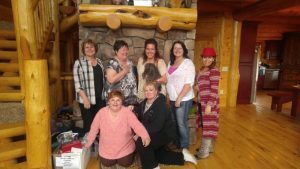 Each of the 7 staff – plus 1 toy poodle – have specialized roles, and also help out with the overall responsibilities of day to day services for individuals and families impacted by domestic and sexual violence, serving nearly 350 clients annually. Combined, they have over 57 years of experience, and what Dixie describes as “the dedication to go above and beyond, giving 125%”. Bingham Crisis Center provides many important services, despite being a small program. Some of these are: three crisis lines; two emergency shelters; transitional housing; bi-lingual advocacy, safety planning and case management; counseling, including animal assisted therapy; support groups; community outreach and engagement; prevention; financial literacy and parenting classes, and more. Their staff has had advanced training or capacity building to provide supervised visitation, support families with a child undergoing forensic exams, and participate in case reviews of people who perpetrate violence. Bingham Crisis Center operates a thrift store, which is run by volunteers, and provides essential clothing and other items for survivors of violence and their children, as well as the community at large. Dixie also talked about the transformations that have happened through forming relationships with other agencies and resources throughout Bingham County, and how glad they are that community professionals contact them regularly for information and advice. Heading to Eastern Idaho or perhaps into the Tetons for some winter play? Stop into Bingham Crisis center and say hi to the Bingham Crisis Center team. They welcome visitors and new partners. We are grateful for the opportunity to partner with you as you help individuals impacted by domestic violence transition into permanent housing. Many survivors can benefit from this assistance. Yet in order to achieve an equitable distribution of resources, we strive to reach our most marginalized or under-served community members. Approximately $6,600 available per program over the course of 3 years. Funding availability and allocations may change over the course of the grant due to grant requirements, new programs utilizing funds, and/or programs not utilizing funds. Qualified participants (survivors) must receive funding assistance for a minimum of 6 months and a maximum of 24 months. Utilities can only be paid if a portion of an individual’s rent is also being paid. Transitional Housing Launch Webinar is required viewing prior to programs requesting funds. It’s about 20 minutes in length and can be accessed here. The tool focuses on the physical environment of the organization, outreach and awareness materials, the messaging of the organization, as well as agency polices. 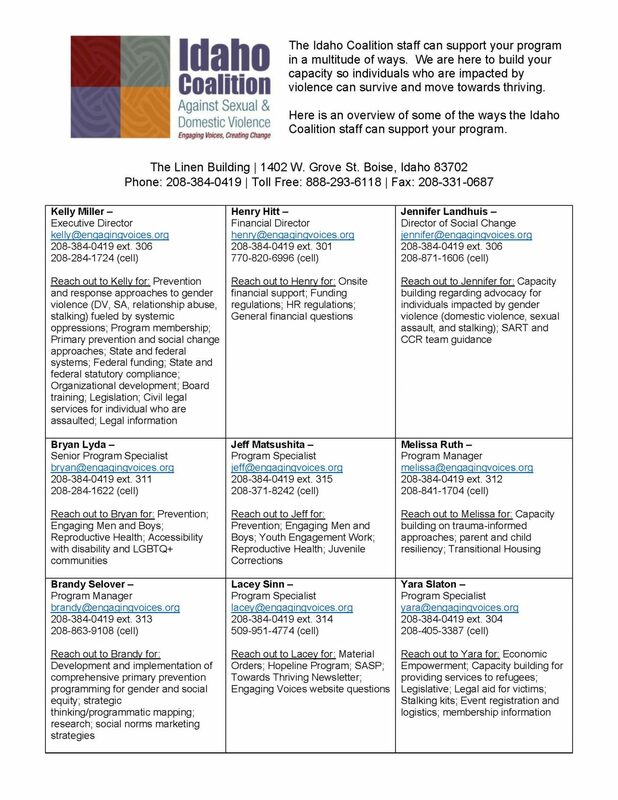 By using this assessment, Idaho’s tribal and domestic violence programs can begin to take the first steps in developing a LGBTQ+ Visibility and Inclusion Plan. We know that individuals who self-identify as LGBTQ+ or as gender non-conforming are at a higher risk of experiencing sexual and domestic violence. Ensuring that our programs are welcoming and accessible is vital to ensuring we are reaching LGBTQ+ survivors. The Environment of the Organization: Would a person entering the agency know that they are welcomed to be out as lesbian, bisexual, trans, or gay? 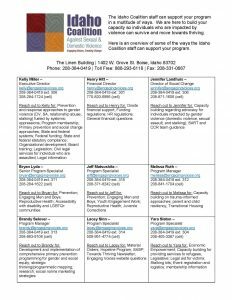 Agency Materials: Would an individual who identifies as LGBTQ+ find their experience represented in outreach materials? Do the materials use inclusive language? Agency Policies: Is discrimination based on gender identity or sexual orientation prohibited in service delivery, hiring practices and other organizational business? Are policies inclusive of LGBTQ+ and gender non-conforming people? For more information, please check out the NW Website or contact Bryan at the Idaho Coalition Office. 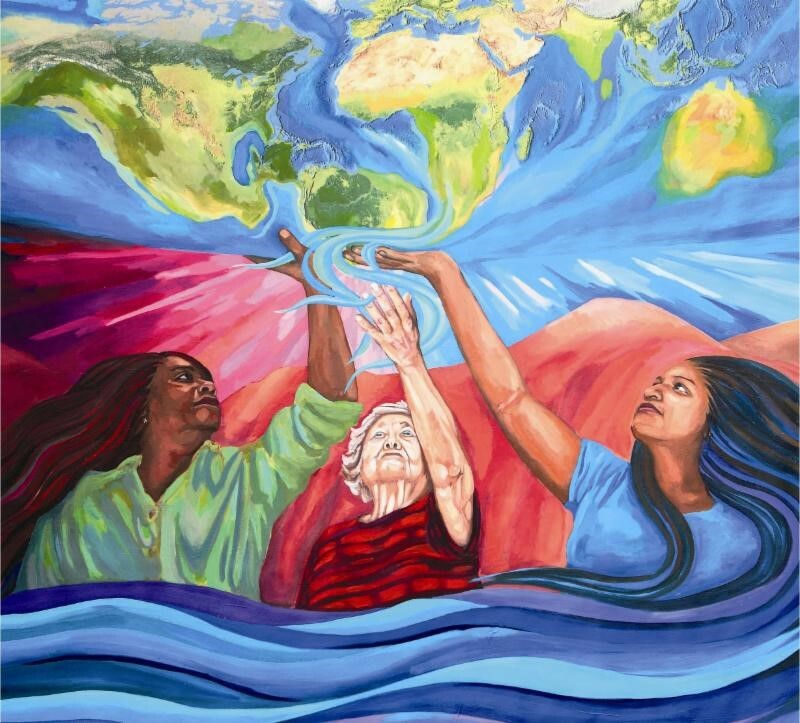 Embark on an interactive and transformative journey with advocacy groups across the country to explore our collective roots and strengthen our efforts to end violence against women and children. What can we do to end it? This innovative 18-month course gives advocates, advocacy program managers and coalition staff a rare chance to come together for self-reflection, inspiration and an opportunity to re-think their approach to individual, institutional and community advocacy. St. Paul, MN & monthly distance learning in your office! Cost The course and all materials are free. Past participants had this to say…. In our hectic world, there is often an unyielding pressure to perform in a certain way, rather than to just be who you are. Know that your performance is not who you are. Your worth is inherent, it’s not transactional, to be won or lost in an instant. 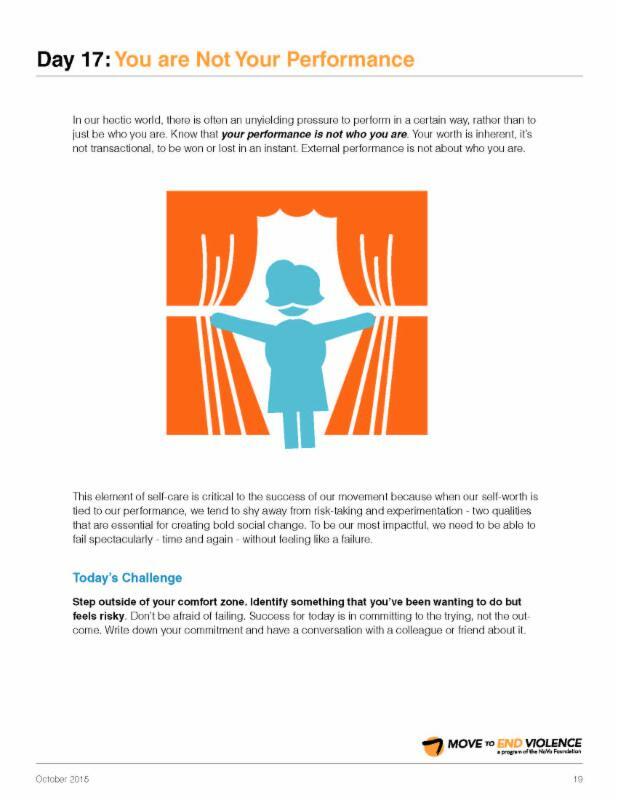 External performance is not about who you are. 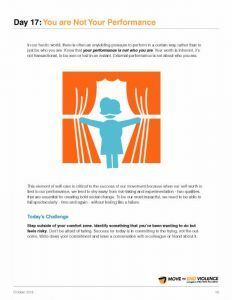 This element of self-care is critical to the success of our movement because when our self-worth is tied to our performance, we tend to shy away from risk-taking and experimentation – two qualities that are essential for creating bold social change. To be our most impactful, we need to be able to fail spectacularly – time and again – without feeling like a failure. Today’s Challenge – Step outside of your comfort zone. Identify something that you’ve been wanting to do but feels risky. Don’t be afraid of failing. Success for today is in committing to the trying, not the outcome. Write down your commitment and have a conversation with a colleague or friend about it.